Listening to a couple’s story about how they met and fell in love may not be invigorating dinner conversation, unless that couple is Kumail Nanjiani and Emily V. Gordon, the real-life married couple and screenwriting duo who chronicled their own initial dating period in The Big Sick. Nanjiani has stolen scenes from otherwise bad comedies over the last few years (Bad Milo! and Mike and Dave Need Wedding Dates), but he’s best savored on HBO’s Silicon Valley, as a standup comedian, or hosting “The X-Files Files” podcast. Gordon, a former therapist turned writer, now produces comedy and co-hosts The Nerdist podcast “The Indoor Kids” alongside her husband. Together, they’re as cute as can be. Their film crafts loving characters in what, at first, seems like a typical romantic comedy about two people falling in love despite their divergent cultural backgrounds (Nanjiani was born in Pakistan and raised in the U.S. by his Muslim parents; Gordon hails from North Carolina). But, as the title suggests, the story becomes far more complicated. 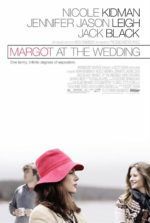 Teaming with producer Judd Apatow to tell the story, Nanjiani and Gordon based their screenplay on actual events that took place in their lives a decade ago. Gordon experienced several days in a coma from Adult-onset Still’s disease, and though the couple was then lukewarm on one another, Nanjiani stayed in the hospital with her, and the medical crisis eventually helped solidify the bonds between them and their families. (It’s much more interesting than your “how we met” story.) Collaborating with Apatow on the script over a three-year period, their film debuted at this year’s Sundance Film Festival, where Amazon picked it up for distribution. 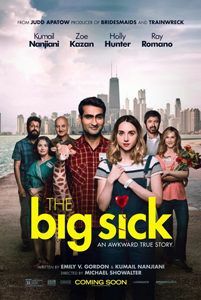 To be sure, The Big Sick has all the elements of a typical indie rom-com, complete with characters who emblematize a specific culture not often represented in mainstream cinema. But Nanjiani’s Muslim roots clash with his agnostic and decidedly American sensibilities represented in the film. So while audiences receive a rare, positive look into Muslim culture, even the main character remains somewhat removed from that cultural sphere. Nanjiani plays a struggling standup comedian named, cleverly, “Kumail Nanjiani” who meets Emily (Zoe Kazan, from Ruby Sparks) one night at a show. They have an instant connection with their mutual chummy, self-effacing senses of humor and charm. Then again, she’s not exactly thrilled with his choice in cinema (he subjects her, and judges her, based on her reactions to screenings of Night of the Living Dead and The Abominable Dr. Phibes). Even so, Emily is an open book next to Kumail, with a willingness to laugh at her own goth teen years. By contrast, Kumail’s sensitive interior has been shaped by his family, his background, and his feelings of isolation in his current culture. Meanwhile, Kumail tries to keep from Emily that his parents (Zenobia Shroff and superstar Anupam Kher) expect him to submit to an arranged marriage. His mother schemes for random Pakistani women to visit during family dinners, saying “Look who dropped by…” with each new arrival, and inciting an impromptu date-in-front-of-the-family. Kumail’s secrets ultimately lead to a breakup, followed by several days apart from Emily, and finally, an awkward call saying she’s been hospitalized. After being pressured to sign for her medically-induced coma by doctors, he’s introduced to Emily’s parents (Holly Hunter and Ray Romano, both excellent), who know about their breakup. Less than half-way through The Big Sick, the tone changes from a blithe and realistic modern romance to a dramedy about feeling helpless. Emily’s mother confronts the cavalcade of doctors and questions their approach, while her father doesn’t know what to do. Their interactions with Kumail prove priceless. At one point, Emily’s father asks Kumail about 9/11, presumably because of Kumail’s Pakistani heritage, and the response provides one of the funniest moment in any recent comedy. The film’s modest, $7 million budget and Sundance opening suggest its indie appeal. 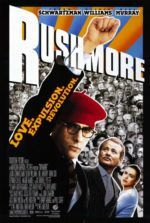 But the film isn’t so anti-Hollywood as a prototypical indie; the story proceeds in a relatively predictable structure. After all, just as in real life, Gordon survives, the couple ends up together, and Kumail basically restores his family tensions. It’s difficult to argue with “Happily Ever After” when that’s the truth. Given this, the film may, for some, contain a faux-indie quality suggestive of a commercial production trying to approximate a marketable indie mode. Or it could feel like a product of Apatow’s standup-centric comedy, with a touch of the producer’s taste for complicated romances amid dire practical situations (think Funny People or The Five-Year Engagement). In any case, most of what happens onscreen closely follows the real-life complications of Nanjiani and Gordon, making most arguments about the familiar structure of the film irrelevant. Director Michael Showalter, best known from Wet Hot American Summer (but also director of 2015’s Hello, My Name Is Doris, which costarred Nanjiani), gives The Big Sick a deeply affecting yet constantly funny balance. Nanjiani, relegated to supporting and token roles in his career thus far, demonstrates that he’s a charismatic leading man capable of captaining a feature film. Kazan gives Emily depth and dimension. But it’s the parents, Emily’s in particular, and their intermarriage dynamics that prove most compelling. Nanjiani’s parents are at once hilarious and strict, but their devotion to traditional Muslim values is never shown as backwards—just not something Kumail is interested in exploring (actually, many of his character’s would-be wives prove heartbreakingly sympathetic). By the end, The Big Sick feels authentic yet familiar, endearing and consistently funny—a curious mix that provides a real-life example of how Nanjiani and Gordon’s life together imitates art.